Ideas in a text are either 1) stated directly or 2) implied. This is illustrated below. Read the first two paragraphs of the article, ‘What Chinese Women Really Need’, and complete the exercises that follow. Mao Zedong once said that in China "women hold up half the sky". But decades on from the revolution that transformed Chinese society, writer Xinran asks whether women really have inherited all that was promised, as part of a series of features on challenges for China's new leaders. China likes to change drivers every ten years as it continues its journey on the political road it was set upon in the 1950s. Of course, the drivers are always men. This is a real "man-made" culture, even though Mao himself famously gave half the Chinese sky to women. Since then that half-sky has been more about how women should stand up and liberate themselves, in line with global women's liberation movements. Chinese women have managed to claim that half-sky quite well - first of all by getting their names back after the 1,000-year old "marriage rules" which endured through centuries of feudalism*. Chinese women now have the right to retain their maiden names. Women had few rights during the centuries of feudalism. The Chinese Press reports that women have more freedom now than ever before. Chinese women do not have to give up their family name now when they marry. Notice how the answer C. is written differently from the way the main idea appears in the text - Chinese women now have the right to retain their maiden names. The meanings, however, are the same. What is the main idea in the following paragraph? Further, women have been freed from the expectation of an arranged marriage and won the right to pursue education, to compete for the same jobs as Chinese men and, most importantly, to be part of China's super-rich. Chinese women have opportunities for a better education. Chinese women can lead any kind of life they want now. Opportunities in life for Chinese women have increased significantly. The answer is C. Opportunities in life for Chinese women have increased significantly. When a paragraph contains several ideas like this you should ask yourself, ‘What connects all these ideas?’ The connection here is the increase in opportunity for women. Be careful not to see the main idea as too narrow as in A. above. The paragraph does not only mention education opportunities; this is only one of 4 different ideas. Be careful not to see the main idea as too broad as in B. above. The paragraph does not say or imply that Chinese women can lead any kind of life they want. This answer is too big. There are many types of lethal venom in the animal kingdom, but perhaps no stranger carrier than the platypus. 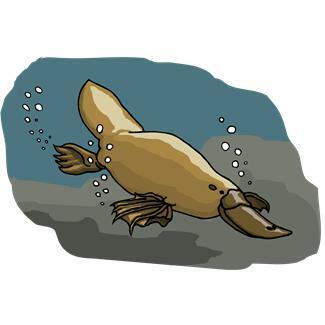 The platypus is one of few venomous mammals. Males carry a venom cocktail in their ankle spurs that incapacitates victims with excruciating pain. Stranger still, the platypus is the only mammal that uses electroreception. What this means is that the platypus uses its bill to sense the electricity produced by the muscular movements of its prey. The platypus neither sees, hears, nor smells its prey while hunting but, rather, pursues it through electroreception. Perhaps most odd, the platypus is the only mammal that lays eggs rather than giving birth to live young. The platypus is an odd creature indeed. If a point is repeated (perhaps using different words) it is likely to be an important idea. Be careful not to confuse the ‘topic’ of a paragraph with the ‘main idea’. If you overhear two people mentioning your name you will probably assume the topic of their conversation is ‘you’. But when you ask ‘What are you saying about me?’ you are asking for the main idea of their conversation. Look carefully at the beginnings and endings of paragraphs/texts. Although main ideas do not always occur in these positions, it is a common place to find them. When you think you have found the main idea test whether the other ideas in the paragraph/text support it. See if you can spot any of these devices in the previous three paragraphs.